I am new to this forum but was told someone here may be able to help. I am looking for a large helmet star for the M15 Adrien Helmet. They are very hard to come by to say the very least. If anyone has any contacts or leads, I would greatly appreciate it. I do realize a reproduction/copy would be what I could more than likely come across, and that is fine. It is for a project I am working on for Living Histories. In addition, I have seen a BLUE M15 with the early plough and sickle painted onto it. Is there any validity to this configuration to anyone's knowledge. To add to this post, I have see the thread regarding the early star painted on the blue Adrien M15 Helmet and I would like to thank the members of this forum for their information. Last edited by Cavhacc; 01-16-2019 at 10:32 PM. Hello and thank you for all who had taken the time to look at my post. I have finally located one of the stars and did wind up finding the previous thread about the blue helmet pictured here in this post and it managed to answer all my questions. Thank you. IJA Helmet star emblem - resource? 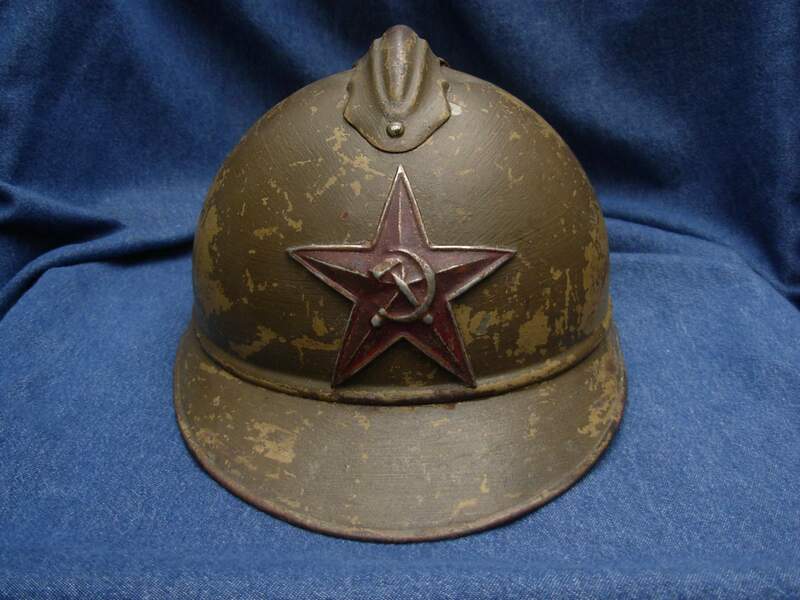 Question Front Seam Swivel Bale WWII M1 Steel Pot HELMET + Gold STAR...GENERALS Helmet? ?